The ‘include’ Hub, Swansea – supporting people to reduce offending and create happier, safer communities. The Big Lottery Fund will be helping to make a difference to the community of Swansea. ‘include’ (trading name of Gibran UK) have been awarded a grant of nearly half a million pounds to benefit the community of Swansea, by helping ex offenders to design, open and run a community hub. The hub will be primarily for people who have been involved in offending or those at risk of offending and will help people make positive changes and lead better lives. However, all members of the community will be welcomed to use the space and will benefit from the generosity of the Lottery and its players. The hub will be a unique, friendly and welcoming space, that will be managed and run by people who have ‘been there, done that and come out the other side’, this approach will offer hope and motivation to others who are still facing the daily struggles. Extensive knowledge and input from offenders, those working in the sector and the wider community shaped the development of the hub and the experienced management committee consists of people who have overcome their own personal challenges and have a lot to give back. ‘The hub aims to shake up traditional services, be 100% led by its members and most of all be real!’, Rosa May Harris, Hub Manager. 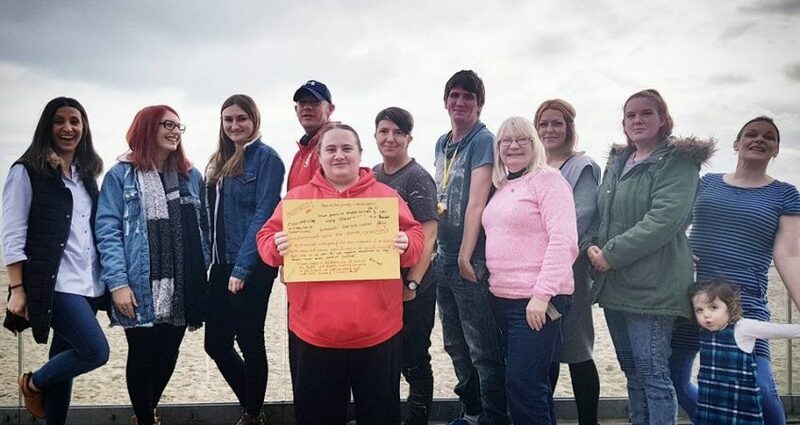 ‘Over the last few years major reforms and changes to legislation have had a huge impact on the lives of people who already face major challenges, we can’t fix this all at the hub but we aim to promote equality of opportunity to the people who need it the most, and improve the well-being of people in Swansea’. Emma Jones, Managing Director, include. Emma and Rosa, the senior management team at include, who have a collective 32 years’ experience working in the fields of criminal justice, third sector and mental health will manage the project. The project aims to benefit around 2,000 people in Swansea and will offer a range of exciting and needed activities such as training, volunteering opportunities, clubs, social evenings, life skills, support, advice and IT courses. It will also offer informal peer led drop-in advice, and act as a meeting place to reduce isolation.